As rosacea sufferers we are most familiar with the consumer side of medicine – we see our doctor, get a prescription and head to the pharmacy. But behind all that medicine is a commercial enterprise working to secure our prescription (and insurance) dollars. When a new treatment enters the rosacea market, the treatment will need to present an image that will appeal to sufferers and doctors alike. 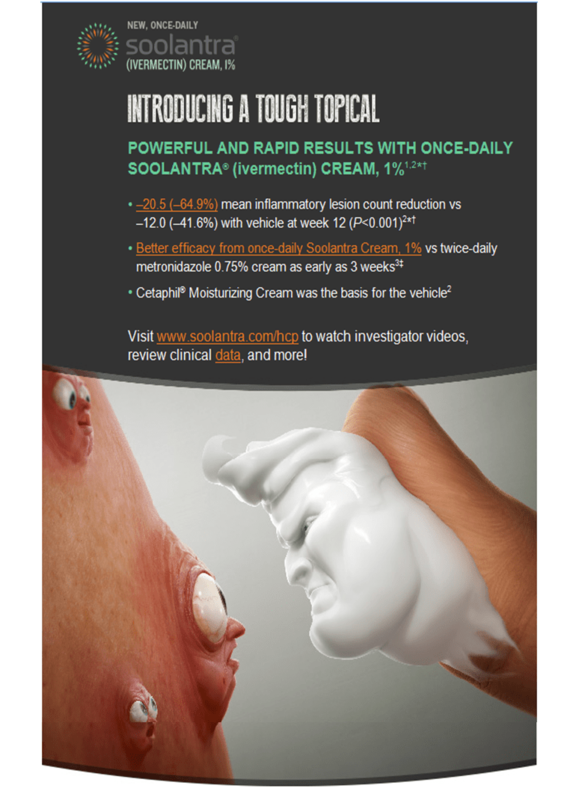 So what did Galderma do to convince the world that their Ivermectin based Soolantra was the latest and greatest treatment that you must have ? 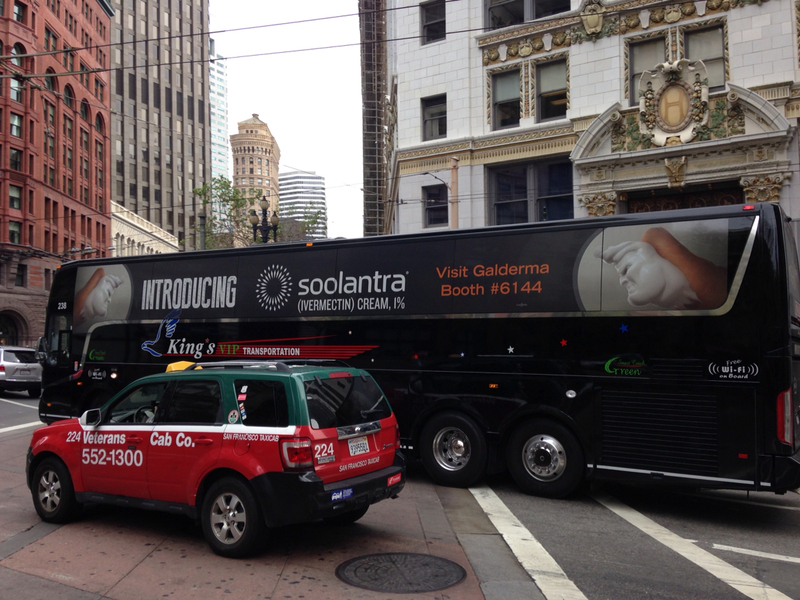 Galderma went with the tagline “Soolantra: Introducing a Tough Topical”. 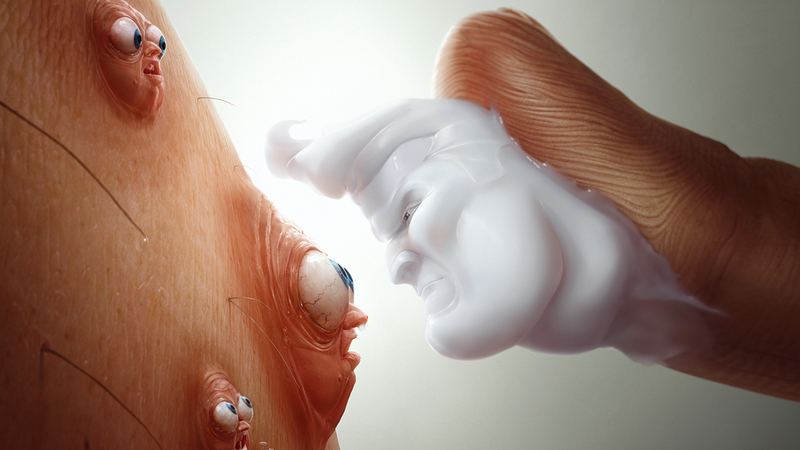 McCann Echo’s work for Galderma’s launch of Soolantra, a topical rosacea cream, won the silver prize in the Best Product Launch category. The HCP digital component of the campaign, which is called “Soolantra: Introducing a Tough Topical,” took home another notable award—the Titanium Award for Best in Show, a new category at the MM&M Awards. All told, the branded effort won five gold and silver awards, plus the Titanium Award. Results for the Soolantra campaign were outstanding. According to MM&M, after just eight weeks on the US market, Soolantra commanded a 6.2% market share of the overall topical rosacea market (9.7% share in the dermatology segment). A post-launch survey revealed that 60% of physicians were aware of the brand. At awards submission time, prescriptions were averaging nearly 5,000 per week and total revenue was tracking above forecast. It is worth remembering that there are large pharmaceutical companies behind the most popular rosacea treatments. Companies that have shareholders who want a return on their investment – and as we know in pharmaceuticals, new drugs are extremely expensive to develop. Here are some more examples of the marketing behind Soolantra.